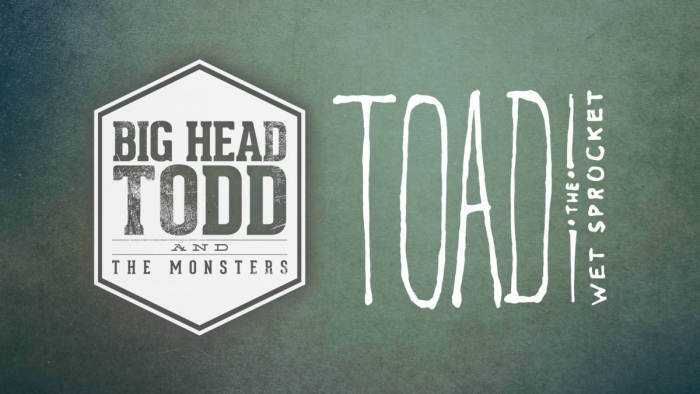 Big Head Todd is one multi-headed rock monster, easily traversing the most accessible hooks and the heaviest grooves. Big Head Todd and the Monsters are not that big on anniversaries, so there won’t be any big hoopla over the fact that the band is officially crossing the three-decade mark this year. Thirty years would seem like something to commemorate, especially with the same core lineup, an achievement few other name-brand bands can boast of. Celebrating 30 years as a band, Toad the Wet Sprocket is still making music and touring with the same spirit of unwavering independence that started it all over three decades ago. 2019 marks two important milestones for Toad. One is the 25th Anniversary of their Platinum album Dulcinea, originally released in 1994, which featured the hits “Fall Down” and “Somethings Always Wrong”. Don’t miss your chance to see them all live at the #1 casino in Pennsylvania!